Reporter Evan Blass tweeted a video of the mysterious device allegedly made by Xiaomi. Shot in darkness, the video appears to show what at first is a tablet, but with that tablet later folding at two hinges, revealing something more akin to a phone. Unfortunately, Blass says he can't confirm the authenticity of either the video or handset. Additionally, the bezels on the sides of the device are nearly invisible, which means that this foldable phone from Xiaomi will offer a great video experience to the users. 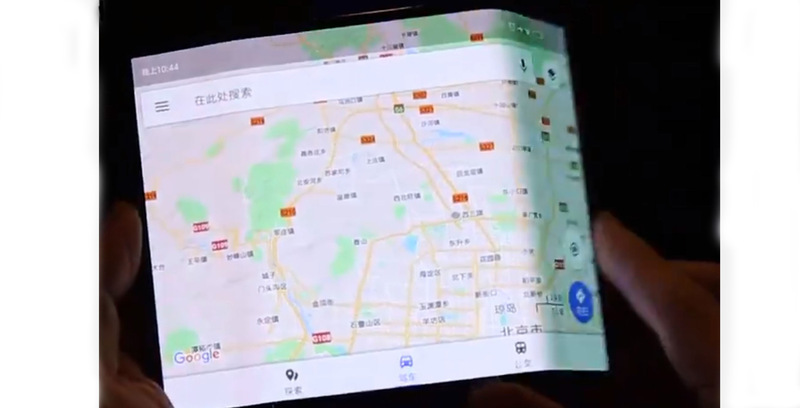 Royole also showed off its foldable FlexPai shortly before Samsung unveiled its foldable concept, while Huawei is expected to release one this year too. It's unclear if this phone-tablet hybrid is real. Now, while the leaker can't vouch for the veracity of the gadget and thus the video, it's not implausible. Samsung has announced to launch a foldable phone soon. This is likely something that could be fixed, but is definitely an new issue that's created by a device with a curved display. So, it is still doubtful whether or not the foldable phone showcased in the video is from Xiaomi, but we feel it is considering the interface looks similar to MIUI. As Samsung's "singular commitment to AI", Bixby will transform "from a simple mobile voice assistant to a scalable AI platform", Samsung's Eui-Suk Chung said at the Samsung Developer Conference.